"Dr. Polisky is an awesome doctor." "Dr. Polisky and staff are all extremely professional, friendly, and knowledgeable." "Great staff. Dr. Polisky is an excellent doctor. Highly recommend." 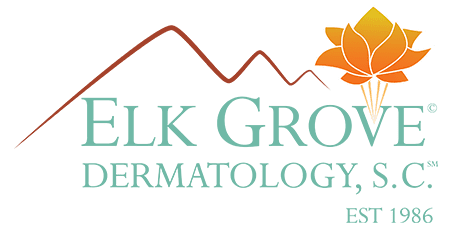 Elk Grove Dermatology is a unique practice offering personalized treatment for a wide range of skin conditions. Led by Robert Polisky, MD, the staff at Elk Grove Dermatology is friendly and compassionate, dedicated to taking the time to listen to patient’s concerns and working towards providing effective treatment services for women and men in Elk Grove Village, Illinois. In addition to high-quality medical care, Dr. Polisky and certified physician’s assistant, Shannon Driscoll, provide cutting-edge therapies for cosmetic enhancement, including laser hair removal and acne scar treatments. Elk Grove Dermatology also offers Botox® injections, dermal fillers, and skin tightening procedures to reverse the signs of aging caused by wrinkles and frown lines and help patients achieve younger, healthier-looking skin. Dr. Polisky earned his medical degree from the Chicago Medical School and completed his residency training at Vancouver General Hospital in Canada and Cook County Hospital in Chicago, where he was also chief resident. He is board certified in both dermatology and internal medicine, giving him unique expertise in diagnosing and treating skin conditions. Shannon Driscoll is a dedicated physician’s assistant and Florida native. She received her training at Midwestern University in Downers Grove, Illinois and has previously worked as a medical assistant in Florida and San Diego before relocating to Illinois. Shannon excels at explaining complex skin procedures and ensures patients feel confident and comfortable during each treatment. Using the latest technologies mixed with old fashion common sense care, patients at Elk Grove Dermatology receive highly personalized attention and customized treatment plans in a warm and friendly environment. To learn more about the dermatology and cosmetic services available at Elk Grove Dermatology, schedule a consultation online or by calling the Elk Grove Village office. Our staff is dedicated to your well-being and providing personalized treatment in an open, accepting and friendly environment. We take the time to listen, understand, and answer any questions you may have in the treatment of our skin problems.